Do not use the same password for different account access. Do not use public or other unsecured computers for logging into Business Express. Review account balances and detail transactions regularly to confirm payment and other transaction data and immediately report any suspicious transactions to your financial institution. Take advantage of and regularly view system alerts; examples include"
Never leave a computer unattended while using Business Express. Prohibit the use of "shared" usernames and passwords for Business Express. Ensure computers are equipped with the latest versions and patches of both anti-virus and anti-spyware software. Do not open e-mail from unknown sources. Be suspicious of e-mails purporting to be from a financial institution, government department, or other agency requesting account information, account verification, or banking access credentials such as usernames, passwords, PIN codes, and similar information. Install a dedicated, actively managed firewall, especially if using a broadband or dedicated connection to the Internet, such as DSL or cable. Install anti-virus and spyware detection software on all computer systems. Update all of your computers regularly with the latest version and patches of both anti-virus and anti-spyware software. Bookmark the Financial Institutions website and only use the bookmark to access the site to avoid phishing. 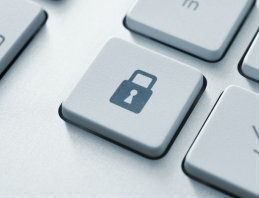 If your device offers encryption, secure your wireless network by enabling encryption. Purchase a device that supports the latest encryption standards. Change the wireless network hardware (router/access point) administrative password from the factory default to a complex password. Avoid using unsecured, public Wi-Fi networks to access financial accounts. Add the Financial Institutions short code and customer service phone number to your contacts and only initiate SMS and phone calls from your contact list. Do not reply to SMS messages that do not exist in your contact list. Only download apps from stores, such as Apple and Android, which are submitted and branded by the Financial Institution. Know that the Financial Institution will not ask users to provide confidential information over an email or SMS message. Password protect your smartphone and always lock your phone when it's not in use. Clear data from your smartphone frequently. Delete text messages from Financial Institution, especially before sharing, discarding, or selling your phone.